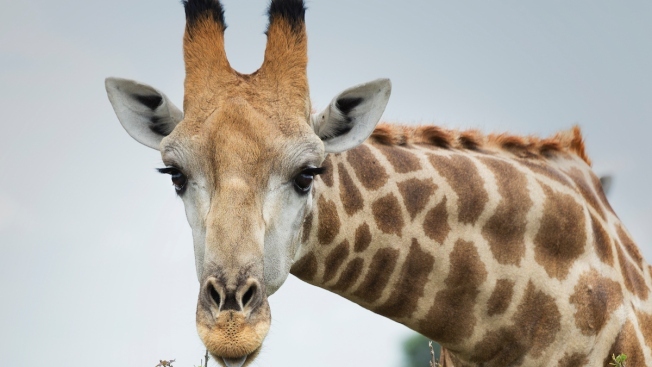 Police say a California woman was cited after climbing into the giraffe exhibit at a Madison zoo and getting kicked in the face. A police report says 24-year-old Amanda Hall, of San Luis Obispo, California, climbed over one fence and almost got over the second fence of the giraffe enclosure at the Henry Vilas Zoo about 5:30 p.m. Saturday. A 2-year-old, 12-foot-tall giraffe named Wally gave Hall a lick, then turned and kicked her in the face. Zoo staff told police that giraffes are capable of killing lions, so the woman was fortunate that her injuries were not life-threatening. Police ticketed Hall for harassment of zoo animals, which has a fine of $686. The police report says Hall told officers she climbed into the exhibit because she loves giraffes.